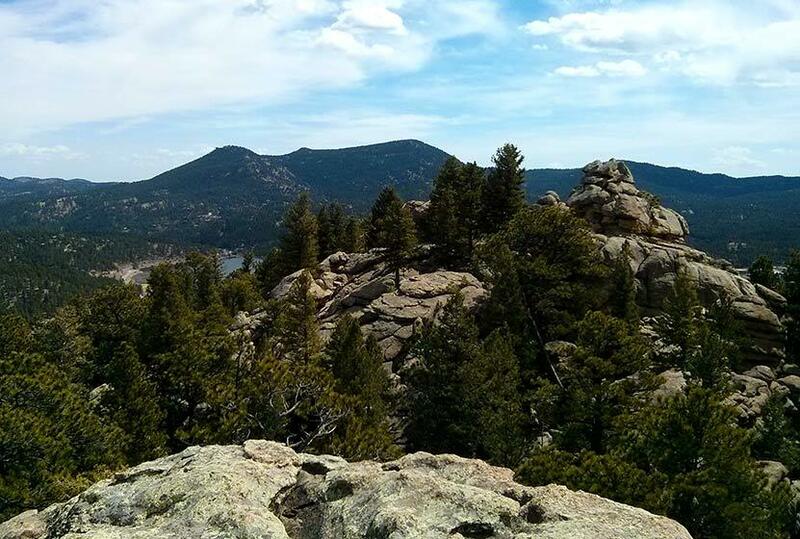 » Best Hiking in Colorado – Hikes You Don’t Want Miss! 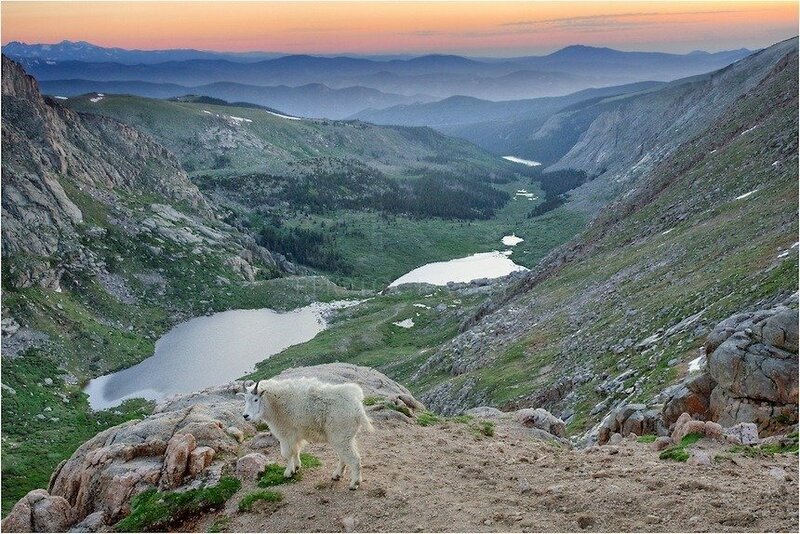 From easy trails perfect for unwinding after a hectic day at the office to extreme summit ascents in the Rocky mountain high country, Colorado offers outdoor enthusiasts a wide range of hiking opportunities. With literally thousands of noteworthy trail systems throughout the state, choosing the best one for your next hike may seem like a daunting task. Fortunately, it doesn’t have to be. The list below details some of the most popular hiking opportunities in the state and includes something for hikers of all skill and fitness levels. 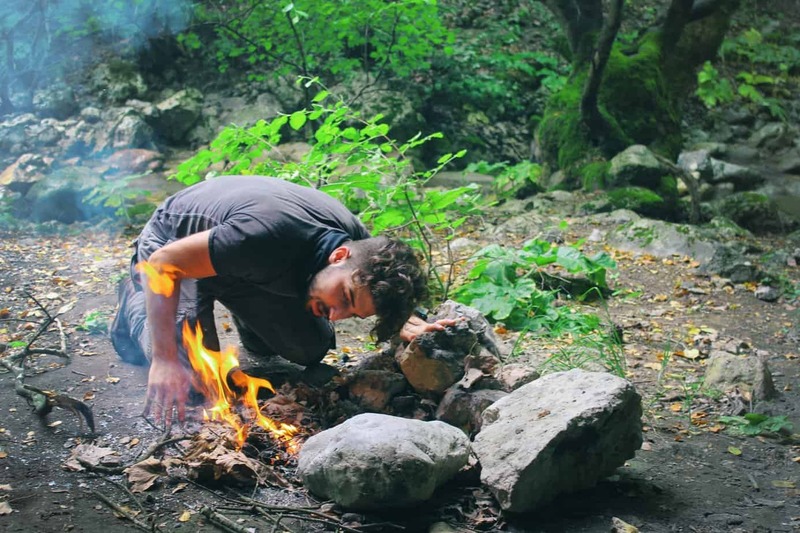 Enjoying a hike in the outdoors doesn’t necessarily mean escaping for days on end. Sometimes the best hikes are the quick and easy ones that can be completed in an hour or two – perfect for unwinding after a long day while getting some exercise at the same time. There are no shortage of trails like this in Colorado and many of them are only a few minutes outside of major metropolitan areas. Just far enough away from Denver to feel like an escape from the city, Alderfer/Three Sisters Park is part of the Jefferson County Open Space Program and provides beautiful views of the rock formations known as the Three Sisters and The Brother overlooking Bear Creek Basin. With over ten miles of trails, there is something for everyone as most trails are between ½ and two miles in length. 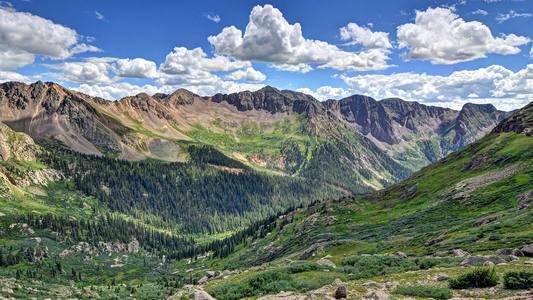 Located just off I-70, Herman Gulch is a popular day hiking destination. After hiking past the parking lot at the trail head and getting away from the Ski Way, hikers can enjoy a pristine nature experience complete with a running stream. 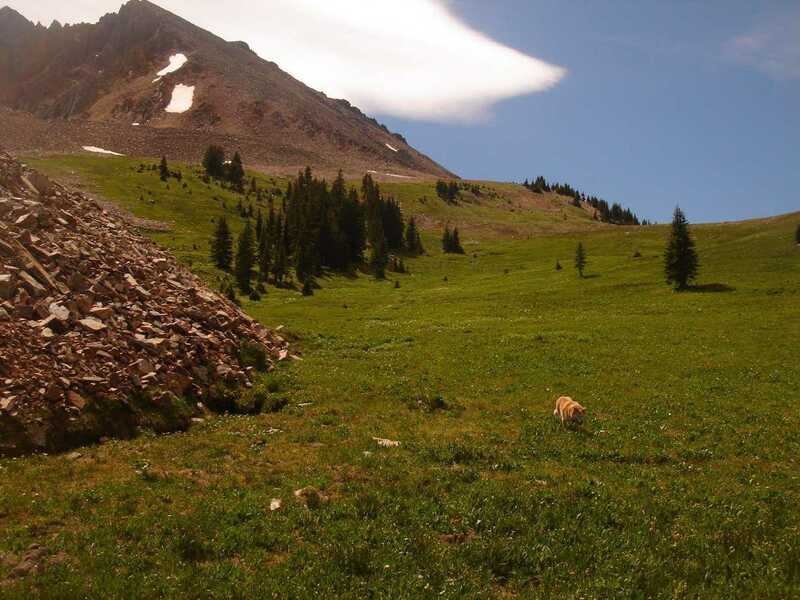 The complete trail only takes a few hours to complete but hikers looking for a more challenging hike can continue toward the Continental Divide at Jones Pass. 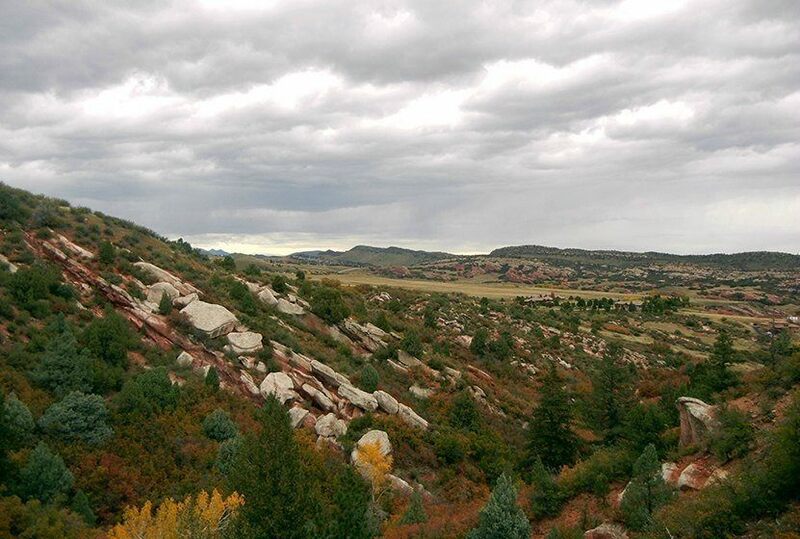 Near Boulder, the Canyon Loop Trail is a well-maintained trail system with a roundtrip length of just under 1 ½ miles. Hikers can enjoy a boardwalk and a trail that gently rambles through a wildlife habitat complete with ponds that used to be gravel pits within the Walden Ponds Wildlife Habitat. 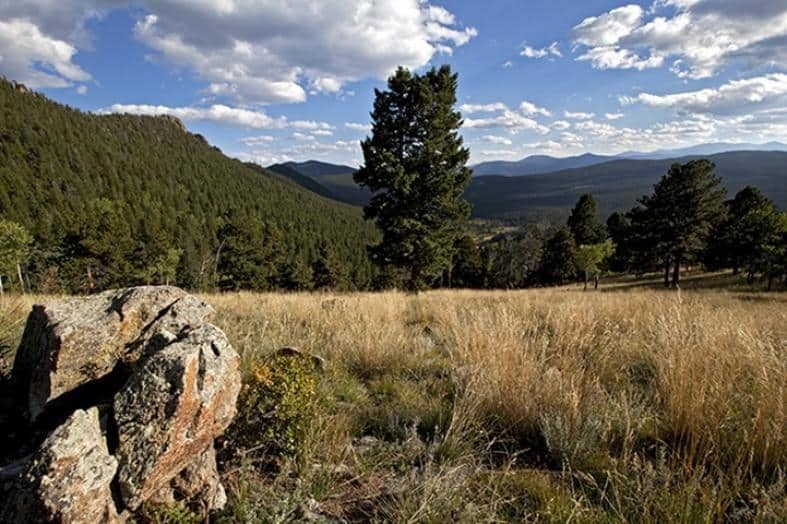 Nestled on 12,000 acres just 30 minutes outside of Denver, Golden Gate Canyon State Park is a popular summer destination for outdoor enthusiasts. A modern visitor’s center and an assortment of trails make this an excellent destination for a day hike. Coyote Trail at Bootleg Bottom is a two mile trail that winds through beautiful pine and aspen forests and meadows and provides hikers with an insight into Colorado’s moonshining past. For those hikers looking for slightly longer and more difficult hiking opportunities, Colorado has plenty of options to meet the needs of just about anyone. While some of the hikes listed in this below aren’t much longer than those in the previous section, the terrain tends to be more challenging and provides many variations to keep enthusiasts busy for multiple visits. 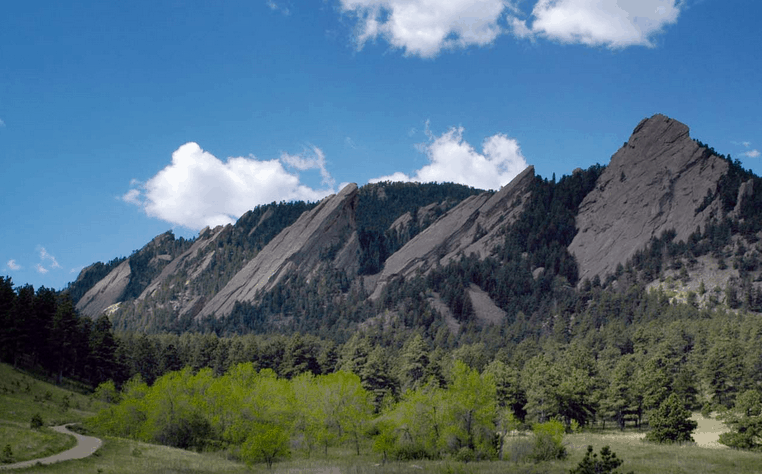 Located in the Boulder foothills, The Flatirons offers something for hikers of all skill levels and is easily accessible for Chautauqua Park. 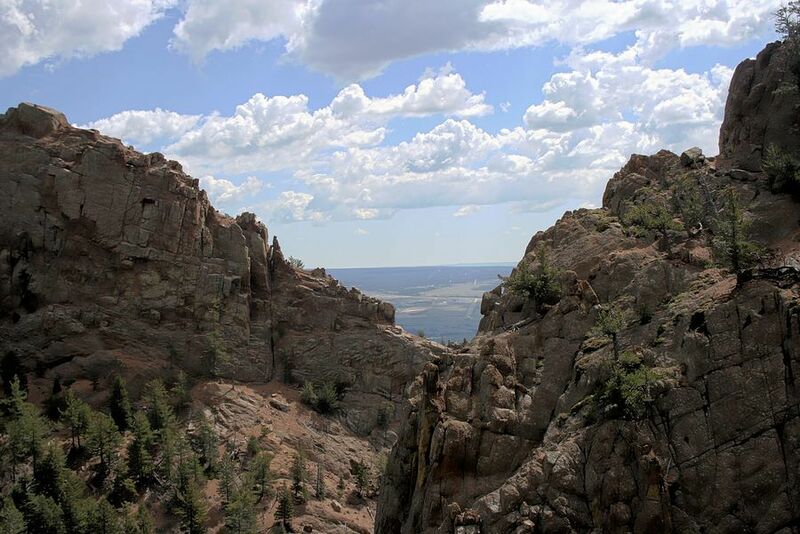 A crowd favorite is the Royal Arch Trail and although moderately strenuous, the 3.5 mile trail peaks atop an impressive rock arch with gorgeous views of the surrounding area. This 6.5 mile roundtrip day hike is a popular destination for viewing the beautiful wildflowers of Colorado and is located just 20 miles outside of Boulder. 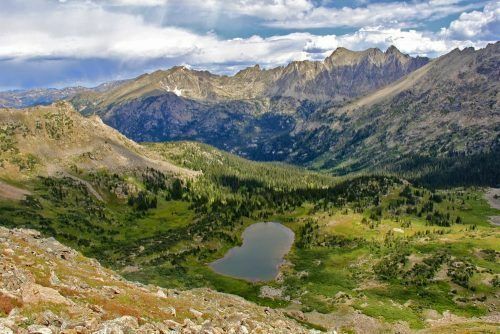 The lower section of the Arapaho Pass Trail tends to be crowded in the summer months but the upper section, which is rockier and steeper, doesn’t see as much traffic and provides for a great way to escape the crowds while enjoying nature’s endless beauty. This 7.6 mile roundtrip hike meanders through a portion of Deer Haven Ranch; managed by the Bureau of Land Management. 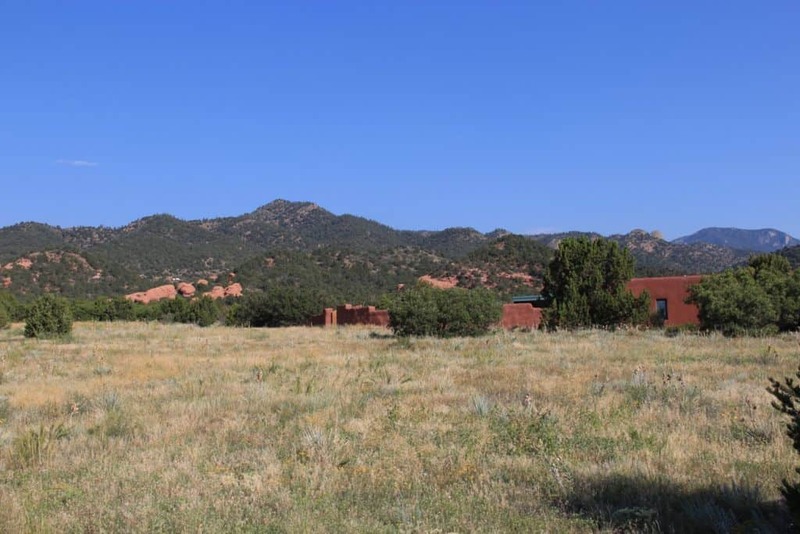 Ponderosa pines, Douglas firs, and meadows can be enjoyed on this hike as well as views of Pikes Peak and the Wet Mountains from nearby Thompson Point. The Never Summer Mountains on the western border of Rocky Mountain National Park provide tons of hiking opportunities for those looking for some solitude and elevation gain. The Baker Gulch Trail ascends six miles to Baker Pass at just over 11,000 feet. The Never Summer Mountains aren’t as well-known as other Colorado destinations so hiking here is an excellent way to escape the crowds while enjoying some breathtaking views. A narrow canyon carved right into the Front Range behind the Air Force Academy, Stanley Canyon is a solid half-day hike with the first mile being very steep before gradually leveling out near the reservoir. The total trail is only 4 miles but the steep initial ascent takes longer than some expect and the beautiful rock formations along the canyon walls make it worth stopping often to appreciate the view. 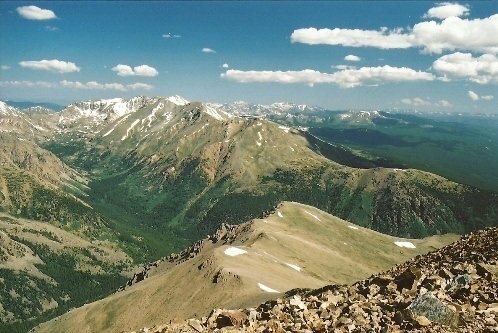 With 53 peaks over 14,000 feet, there is no shortage of high elevation hiking in Colorado. While some of these hikes are extremely difficult, many of them are moderate in difficulty but provide views of the surrounding area that simply can’t be matched by many of the easy, short hikes listed in the sections above. There are numerous ways to reach Devil’s Thumb Pass but the Hessie Trailhead route is by far the most scenic route. 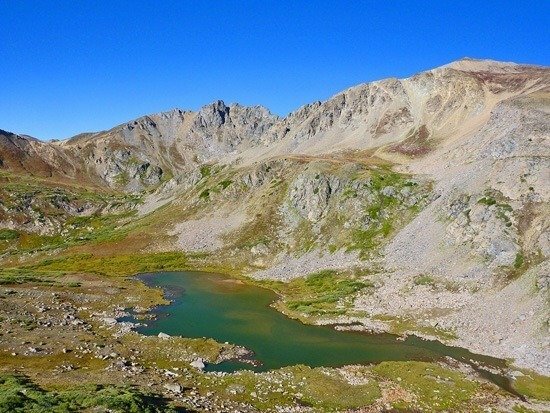 With an elevation gain of over 3,000 feet to the top of the pass and a roundtrip hiking distance of 13.3 miles, this all day hike is an excellent way to enjoy the beauty of the Colorado wilderness. Mt. Elbert is the highest point in Colorado at 14,440 feet. Although this trail is only 8.7 miles roundtrip, the trail gains 4,500 feet of elevation during the ascent and is mostly above the tree line. While the trail itself isn’t particularly difficult, some hikers may struggle to make good time at this altitude. Also keep in mind that being above the tree line during an electrical storm is extremely dangerous and thunderstorms are common on summer afternoons so get an early start before tackling this trail. 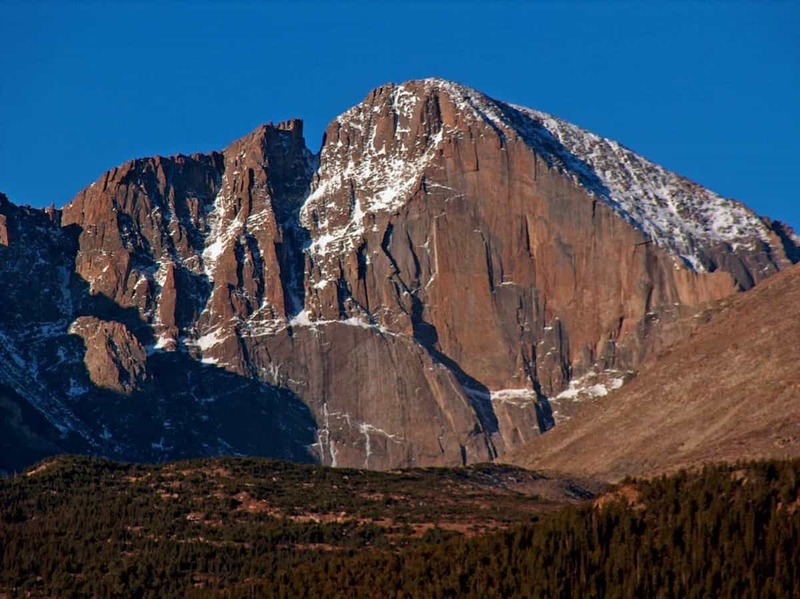 Located in the Front Range of north-central Colorado, Longs Peak is one of Colorado’s most famous climbs. A strenuous 14 mile hike with 5,255 feet in elevation gain, hikers will need to hike across ledges and slabs to reach some class 3 climbing at the summit. 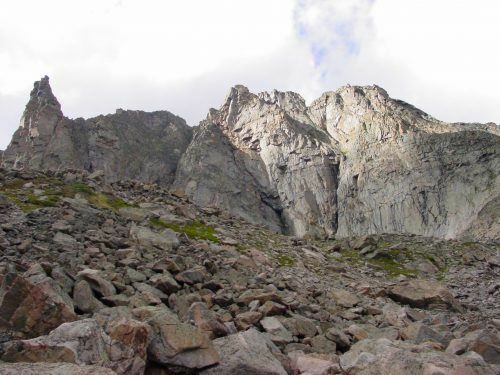 The most difficult hike on this list, Longs Peak is extremely difficult but the reward of getting to the top is that much sweeter. Surrounded by 14,000 foot peaks in the Needle Rage, Chicago Basin is one of the most popular hikes in the Weminuche Wilderness. This all day hike is 16.6 miles roundtrip and the trailhead is accessible by a steam-powered train. Perhaps the only problem with this hike is that it may be nearly impossible to find any solitude during the summer months as some 6,000 people hike the Basin every year. A fun trail with some steep and loose areas, the 7.3 mile trail is a difficult half- to full-day hike located in the Southwest Denver area. In addition to a myriad of views along the trail, a herd of bighorn sheep live in the canyon and can often be seen while ascending Goat Mountain. Whether you’re looking to spice up your exercise routine or want to experience some of the breathtaking views that Colorado is known for, there is no shortage of hiking trails that can scratch that outdoors itch year-round.